Today we will see two champions be crowned as the Northern NSW Football (NNSWF) State SAP Championship Winners in the 12 and 14 Years age group. With Presentations at 2 pm, today shapes up to be an exciting day. Day two of the Northern NSW Football (NNSWF) State SAP Championships for Girls has seen a lot of teams impress and progress through the ranks in their age divisions. In the 12 Years Girls competition it’s head to head with a potential of four teams in the running of becoming the 2018 Champions. Some of the key matches of the decider will be Select SAP verse Macquarie Football at 11:15 am and Football Mid North Coast and Northern Inland at 12:10 pm. NNSWF Female SAP Advisor and former Westfield Matilda, Lauren Colthorpe, said the standard and competitiveness of the 12 Years Girls has ‘lifted again’. 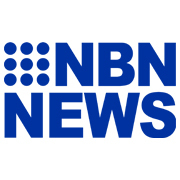 “The Northern NSW Select side particularly, who haven’t spent a lot of time together, went to another level today,” Colthorpe said. For the 14 Years, Football Mid North Coast hold a 100% record after five matches after only conceding 1 goal over of the two days. North Coast Football will be up against two key opponents against potential champions Herald Women’s Premier League (WPL) teams Football Mid North Coast and Adamstown Rosebud JFC. NNSWF Technical Director Michael Browne felt that the standard of performances on day two has improved but is still looking out for some more potential players for next year’s Identification camp for the National Youth Championships. “There were some good individual performances today from girls who may not have stood out yesterday,” Browne said. “There are quite a few effective players, but we are also looking for girls who look to control the ball and then try and play intelligent passes. “From a defensive point of view, we are looking for players who can not only defend 1 v 1 but also have the confidence to pass the ball out from the back. “On the attacking side obviously having the composure and technique to create and take scoring opportunities is an asset that will prove invaluable for any aspiring young player,” Browne concluded. Over 220 of Northern NSW’s most promising young female footballers have kicked off their Northern NSW Football (NNSWF) State SAP Championships for Girls campaign today in Coffs Harbour. 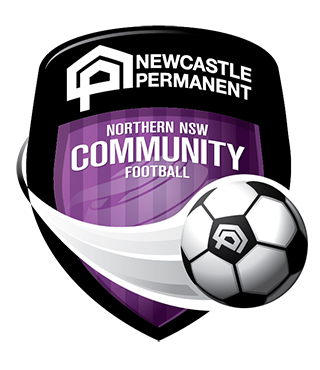 In the 12 Years Girls, Northern Inland Football remain undefeated after their three matches of the day while NNSWF Select and Football Mid North Coast remain undefeated after their two matches. The final game of the day saw an entertaining 3-all draw between Northern Inland and Macquarie Football. For the 14 Years Girls it has been a close competition with all bar two matches having been decided by two goals or less. Mid North Coast is leading the table after being undefeated in their three matches of the day. NNSWF have a technical group present across the tournament to assess players and coaches on the key components of the Football Federation Australia National Curriculum. NNSWF Technical Director Michael Browne who assessed the 14 Years Girls said he was impressed with the performances displayed on day one. “Overall it was a pleasing first day,” Browne said. “The main purpose of the tournament is for us to identify a sufficient number of players to invite into a camp next January. NNSWF Female SAP Advisor and former Westfield Matilda, Lauren Colthorpe, who assessed the 12 Years Girls was equally impressed with the level across the park. “It’s great to see the level improving every year and to be able to identify talented players in the state for the first time,” Colthorpe said. “It’s always exciting to see the big improvements coming from the teams especially through the Country Zones. Northern NSW’s young match officials at the State SAP Championships have performed excellently in their officiating of a total of 19 matches on the first day of the Championships. Day two kicks off at 8:30 am for the 14 Years with Warners Bay FC taking on NNSW Select SAP whilst the 12 Years kick off at 9:25 am which will see North Coast Football take on Hunter Valley Football.